3 steps to fabulous icing . . .
1 Pop the top - it's ready to use! Make sure it's at room temperature for the perfect finish. 2 Stir the icing with a rounded knife. 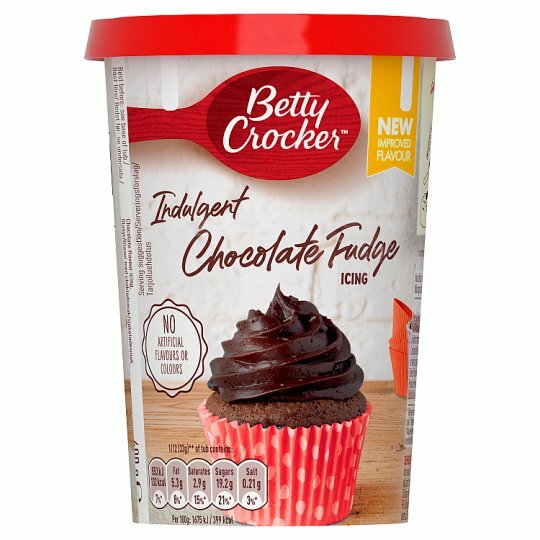 3 Spread or pipe onto your cooled Betty Crocker™ cake or cupcakes for an instant beautifying treatment. Ready to spread Each tub contains enough icing to cover and fill an 8" cake (serves 12) or cover up to 27 cupcakes.